The World Series of Poker has announced that Jennifer Harman and John Juanda are to be inducted into the WSOP Hall of Fame during a ceremony on November 6th. 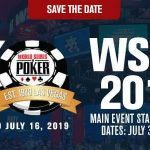 Jennifer Harman and John Juanda will become the 49th and 50th members of the WSOP Hall of Fame when they are inducted in a special ceremony ahead of the climax to the World Series of Poker Main Event in a little under two weeks’ time. 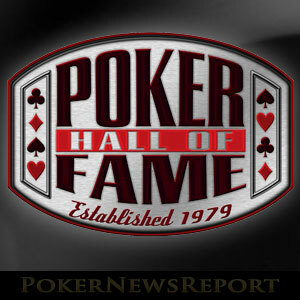 The two respected players were chosen from a shortlist of ten nominees proposed by members of the public, and decided upon by existing Hall of Famers and members of the poker media. Their induction into the Hall of Fame will take place where the WSOP began – in the Longhorn Room of Binion´s Gambling Hall next Friday at 7:00pm. Jennifer Harman (50) becomes just the third woman to be inducted into the WSOP Hall of Fame, joining Barbara Enright and Linda Johnson in the world´s most exclusive poker club. Harman is best known for playing high stakes cash games in Las Vegas and for being the first female poker player to win more than one WSOP bracelet in open events. Harman was not only selected for her poker-playing skills. Although she has won $2.7 million in live poker tournaments – and many millions more online while a sponsored pro for Full Tilt Poker – Harman is a fantastic ambassador for poker. She founded the charity Creating Organ Donor Awareness and has raised millions of dollars for the Nevada Society for the Prevention of Cruelty to Animals. It’s truly an honor to be selected into the WSOP Hall of Fame. Poker has been an unbelievable journey for me and to have the respect of my peers is truly amazing. I want to thank everyone for the amazing support. Indonesian-born John Juanda (44) also creates a “band of three” – being the third Asian-born player to be inducted into WSOP Hall of Fame after Johnny Chan (2002 – born in China) and Thuan “Scotty” Nguyen (2013 – born in Vietnam). Juanda is known for being a particularly quiet player at the tables – preferring to let his achievements do the talking, and his achievements speak volumes. Juanda has won five WSOP gold bracelets, reached WSOP final tables on thirty occasions and has more than $17 million in live poker winnings. His success is not confined to Las Vegas either. Juanda recently won the EPT Barcelona Main Event to add to other seven-figure victories he has enjoyed in Asia and Australia. Also previously a sponsored pro for Full Tilt Poker, Juanda now limits his poker to live action only. It’s an honor to see my name among so many players I have admired and respected throughout my career: Chip Reese, Erik Seidel, Dan Harrington, Daniel Negreanu. Thank you to all the fans who nominated me and to the HOF and media members who voted me in. Is the WSOP Hall of Fame too Vegas-Centric? The news that two more Las Vegas-based players are to be inducted into the WSOP Hall of Fame has drawn criticism from some circles – particularly those who have been waiting many years for a European player to be recognised for their achievements. 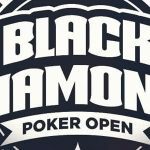 Among this year´s European contenders were Chris Bjorin, Bruno Fitoussi, Carlos Mortensen, Max Pescatori and the much-missed Dave “Devilfish” Ulliott. 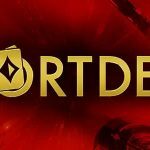 Hendon Mob founder Joe Beevers was particularly scathing of the Hall of Fame “Club” in an article he wrote last night; and, although all five European nominees will be eligible for consideration in 2016, as Phil Ivey and Chris Moneymaker will also be eligible for the WSOP Hall of Fame for the first time next year, European poker fans may have to wait a little longer to see one of their heroes inducted into the WSOP Hall of Fame. Interestingly, Daniel Negreanu – who was inducted into the Hall of Fame last year – recently wrote an article for his fullcontactpoker.com website in which he stated that players should be nominated and inducted based on their achievements rather than on sentiment. This should, in my opinion, be the only criteria which makes a player eligible for the WSOP Hall of Fame, and both Jennifer Harman and John Juanda have fulfilled that criteria to the max. Also interestingly, Negreanu tipped Juanda and Harman to both be inducted in his September article. I wonder if he knows the lottery numbers as well!